Christmas decorations – Time for an update? 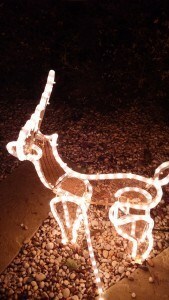 Christmas is fast approaching, but are you a bit disappointed with your outdoor Christmas decorations? We all trundle down from the loft with the same Christmas decorations, and it might be time for an update. Make your garden into a Winter Wonderland… here are some top tips to bring back that Christmas spirit in your garden! Stick with your colour theme – Why not create a sophisticated garden area with natural white lights and add a touch of class to your property? 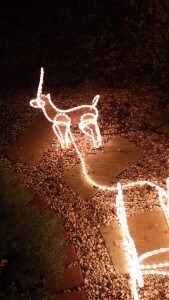 Alternatively, add a bit of fun to your outside are by using brightly coloured lights. Whichever you choose, make sure to stick to your theme! Create personality – Sometimes decorating with a standard string of lights might not ‘wow’. 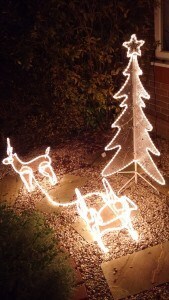 So why not add some personality to your outdoor area by choosing things like a light-up reindeer or snowman, whatever appeals to you and your family! 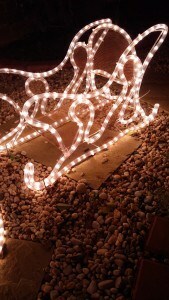 Even just stringing some lights across a shrub can transform the entrance to your home. So get out and create your Winter Wonderland today! Fed up with the same old lights? Why not treat yourself to some new ones? Here are some of our favourites! P.S. We would love to see your Christmas gardens, use #aurawonderland on Twitter, and tag us on Facebook! P.P.S It’s 10 days until Christmas!